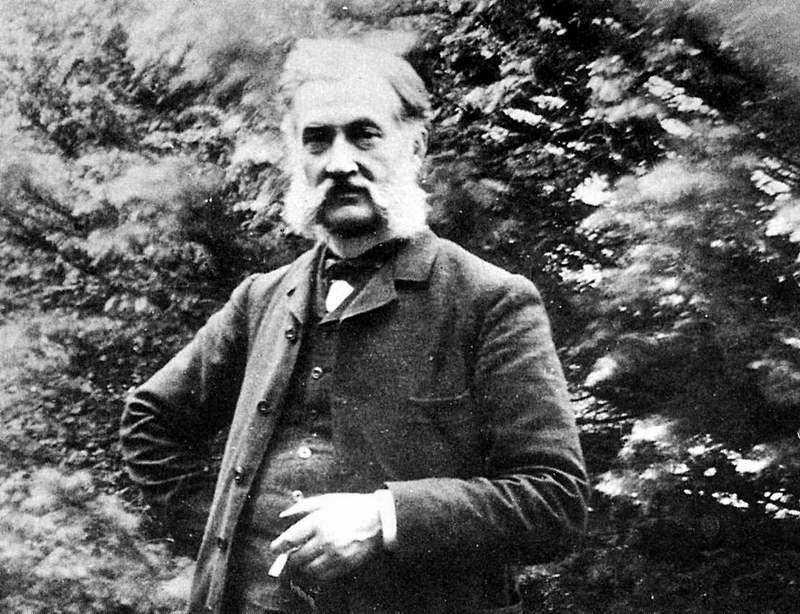 Born at Metz, France on 28 August 1842, Le Prince is regarded by many as the true father of the cinematic film. He moved to Leeds in northern England in 1866. In 1881 he emigrated to the States to work and became an agent for a number of French artists. He patented in 1888 in America a combined camera-projector. On 14 October of the same year in Roundhay, Leeds, he filmed Roundhay Garden Scene and Leeds Bridge, using his single-lens camera and paper supplied by George “Kodak” Eastman. His films were shown privately but never publicly. In 1889 Le Prince took dual French-American citizenship so that he could work in New York. In September 1890 he planned to exhibit the fruits of his work and research at Jurnel Mansion in New York. However, he disappeared before he could make the presentation. On a Friday in September 1890 he boarded a train at Dijon for a journey to Paris. From the French capital he was due to return to London. However, when the train pulled into Paris there was no sign of Le Prince or his luggage. A search of the track gave no clues. There were various theories as to what had happened to Le Prince. In 1928 one author posited that Le Prince had committed suicide because he was on the verge of bankruptcy and arranged for neither his body nor his luggage ever to be found. Le Prince’s widow believed that he had been murdered and in 1900 his son Adolph Le Prince also died under mysterious circumstances after losing a lawsuit against Thomas Edison. Another theory, aired in 1985, had Le Prince disappearing voluntarily because of his family’s shame over his homosexuality. In this theory Le Prince died in obscurity in Chicago in 1898. Another has a suicidal Le Prince being murdered by his brother. In 2003 a photograph of a drowning victim was discovered in the Parisian police archives and the man look very much like Le Prince. It seems likely that Le Prince was murdered for his invention and his body and luggage were thrown from the train as it passed over a river. However Le Prince died it was the Lumiere brothers, and not he, who got the credit for inventing the cinematic film.